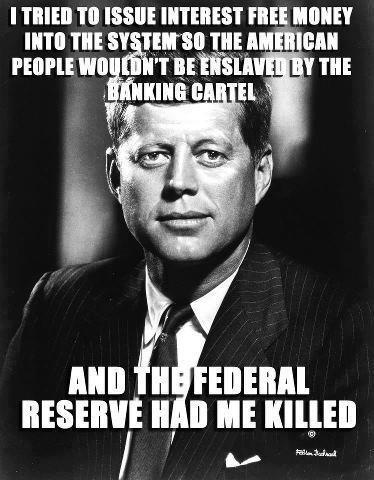 With the stroke of a pen, Mr. Kennedy was on his way to putting the Federal Reserve Bank of New York out of business. On June 4, 1963, a little known attempt was made to strip the Federal Reserve Bank of its power to loan money to the government at interest. 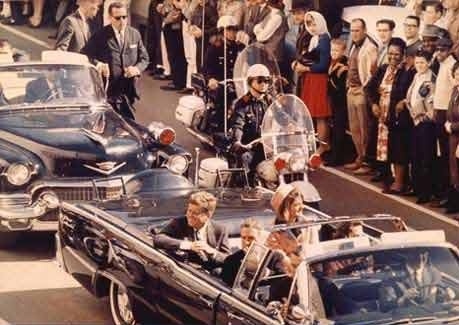 On that day President John F. Kennedy signed Executive Order No. 11110 that returned to the U.S. government the power to issue currency, without going through the Federal Reserve. Paul McGuire on God TV warning people about the NWO New World Order and depopulation agenda,he has been on over 100 other TV channels who always go to advert breaks when he quotes from John F. Kennedy speech on secret societies. This 55min video "Deception in the Government", is very good,--------------- if video does not work CLICK ON NEW WINDOW to right of video,--------------- Paul McGuire goes into every precise detail about the last days and who the NWO ruling elites are from 1700s to Nazis WWII to present time and there agenda to kill over 6 billion people in there depopuation agenda and UN troops based in USA and communism killing millions and giving all wealth to an elite class and At 37mins talks about President Kennedy's executive order 11110 to end the federal reserve being the reason why he was assasinated and the George Bush family gaining there wealth from financing the Nazi's and the Federal Reserve financed the communist revolution and talks about the Bilderberg group,CFR and the ruling elites MOTTO is Order Out of Chaos.